Research Electronics International is pleased to announce the TALAN 3.0 Telephone and Line Analyzer with enhanced VoIP analysis and new earth/shield/ground testing. 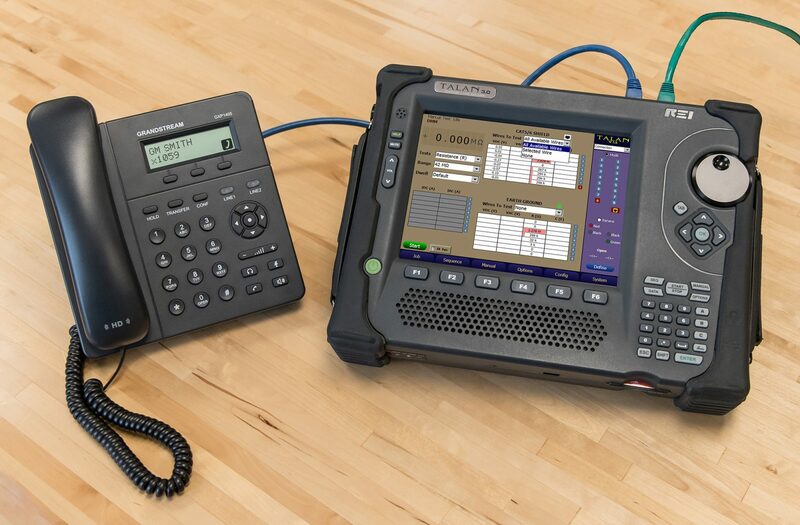 The portable TALAN 3.0 analyzes digital, analog, and VoIP phone systems and wiring for faults, anomalies, and security risks using a suite of telephone tests including an automatic switching matrix. 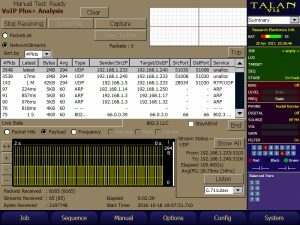 The TALAN 3.0 captures and analyzes network streams for fast identification of unauthorized VoIP traffic. It quickly detects if a VoIP phone system is passing data packets when the phone is not in use. Connect inline with a phone using an REI VoIP adapter, port mirroring, or ethernet hub to capture VoIP packet traffic for analysis. VoIP data collected by the TALAN includes source and destination MAC/IP addresses, header type, statistics – total packets, packet rate, peak rate, and run time. TALAN 3.0 recognizes older protocols that other equipment may miss, increasing the probability of detection. The easy-to-use interface allows users to visually observe patterns of consistent, repetitive traffic. Common VoIP services will often display a unique set of characteristics that can later be used to visually identify similar sets of traffic. Extensive, advanced filtering makes it easier to locate and identify suspicious packet information. The patent-pending Fast Fourier Transform (FFT) algorithm converts the arrival times of an entire set of network traffic into a packet frequency graph. By transforming this information from time domain to frequency domain, TALAN 3.0 creates identifiable patterns not easily noticed in a traditional packet list allowing the user to detect live VoIP traffic. 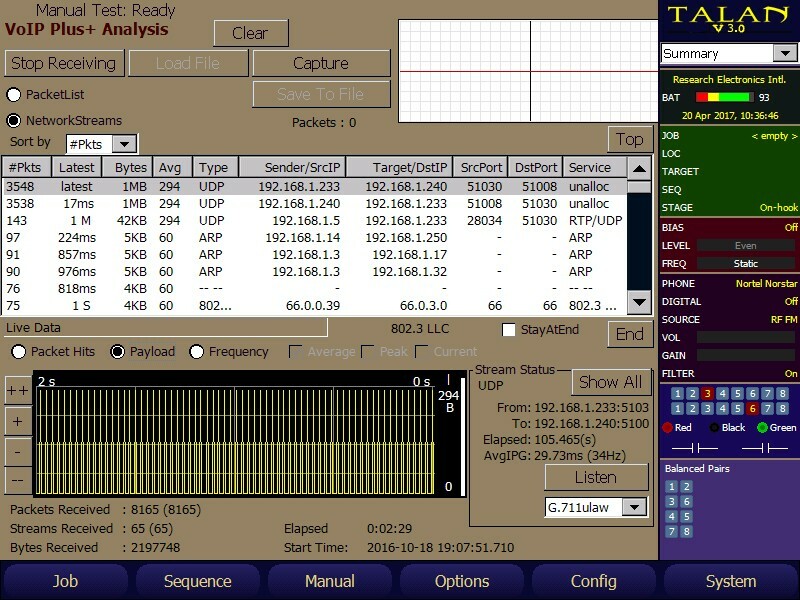 Analyze traffic by packet hits on all streams or isolated streams, the size of data in the packets over time, and frequency. The audio demodulation function also provides the opportunity for users to listen to live packet streams. TALAN 3.0’s new input panel provides the ability to test all cable conductors against modern telecommunication threats including shield and ground. Dwell selection options allow for greater accuracy without sacrificing speed. These new features are in addition to the TALAN’s state-of-the-art capability to rapidly and reliably detect and locate illicit tampering and security vulnerabilities on digital and analog telephone systems. The TALAN provides a set of tools in a single piece of equipment containing test functions not available in any other product. Each one of those phones could leave a business or organization vulnerable to electronic eavesdropping. Secure these private and proprietary conversations with the TALAN 3.0. In addition to digital multimeter tests, the TALAN includes a wire-based non-linear junction detector, spectrum analyzer, and frequency domain reflectometer test. TALAN 2.0 units will require a hardware and software upgrade to utilize the 3.0 functionality. Arrangements can be made with your sales manager to determine requirements, obtain a price quote, and issue an RMA to return your equipment to REI for update. All newly purchased TALAN units will have the new software and hardware included. For more information about the TALAN 3.0, request a price quote here.